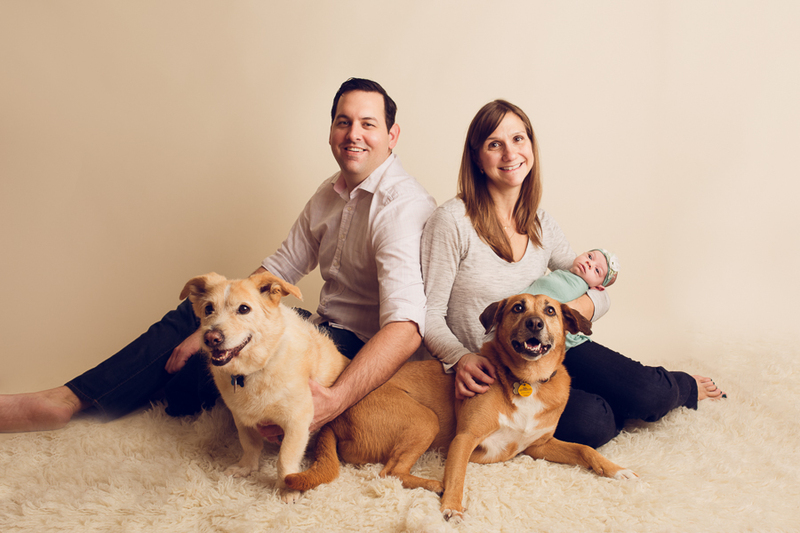 This beautiful family requested to add their furry children in for a few images during their newborn session. It was so much fun having these five in the studio and Grandma too. 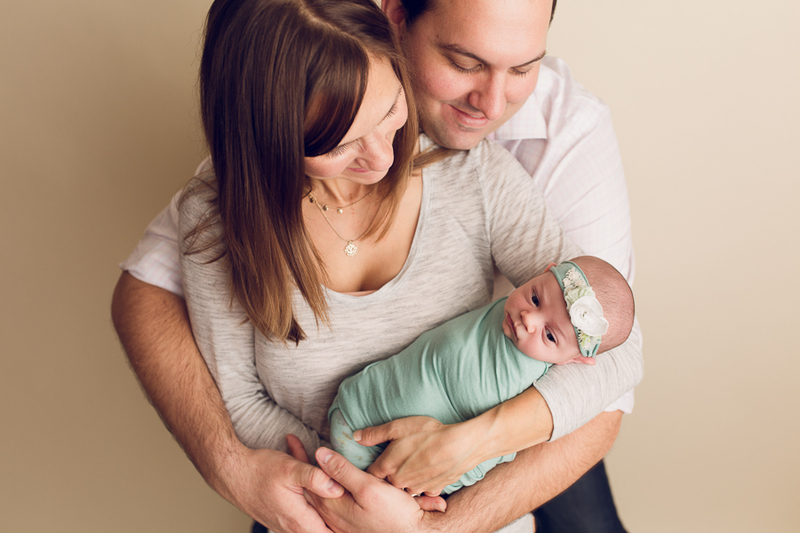 We were nice and cozy, but had a great time capturing this new baby girl. For the styling survey, there was mentioned of greens and yellows so we made sure to include those too in the session. Along with a wintery set-up too. I used some wraps and headbands from Luneberry, one of my favorite vendors for rugs and wrap sets. Often clients will ask about what happens if their baby is awake during their session. This session is a perfect example of how we still get beautiful images of an awake baby before they fall asleep. It happens from time to time and we definitely work with it. 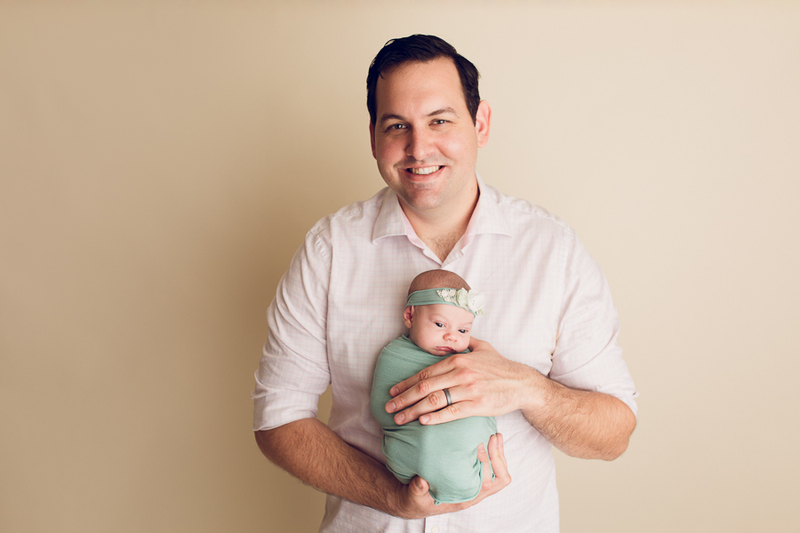 Enjoy these highlights from this beautiful baby session!